Kemberly Richardson has the latest from Trump Tower. 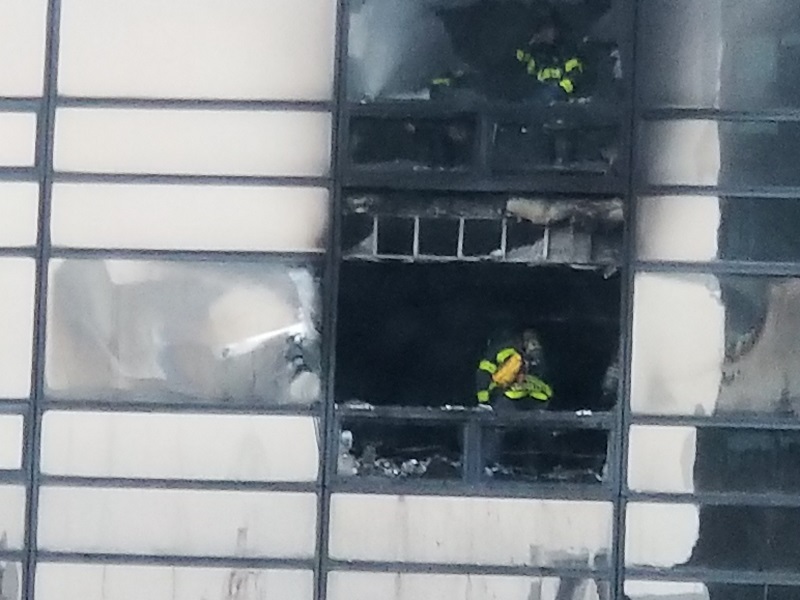 MIDTOWN, Manhattan (WABC) -- One man is dead after a fire broke out at Trump Tower in Midtown, police say. "This is a very difficult fire, as you can imagine. The apartment is quite large. We're 50 stories up. The rest of the building had considerable amount of smoke," said FDNY Commissioner Daniel Nigro. "We're just standing there watching it. It was scary. It was very surreal. And then we saw the counterterrorism guys suit up," says Jordan Podell. And it was even more terrifying from the inside. Claudia Ospina lives on the 37th floor. "We were panicked because all the time when you live here, you believe the emergency is the worst - because like a terrorist attack or something like that," Ospina said. Another resident said the phones inside the building did not work. "Michael Cohen, who is Trump's lawyer was texting me and said 'are you in the building? I said 'yes.' He said 'you better get out ASAP!'" said Dennis Shields. Shields, who was childhood friends with the president's attorney, lives eight floors below where the fire broke out. "You could smell the smoke, and you could just hear things falling through the vents," he added. President Trump is currently at the White House and not Trump Tower. He tweeted a thank you to firefighters once the flames were contained. Eric Trump, the president's second-oldest son, tweeted that the fire was in a residential apartment at the tower. There were no evacuations inside the building, but some people self-evacuated.